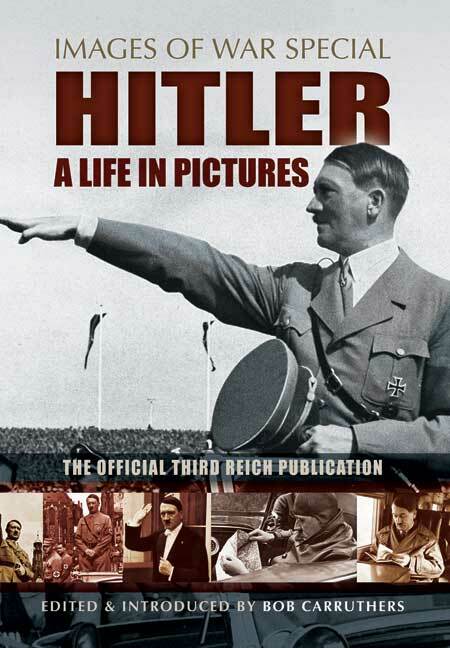 You'll be £14.99 closer to your next £10.00 credit when you purchase Hitler - A Life in Pictures. What's this? Millions of ordinary Germans fell under Hitler's spell and this book is a creation of those emotions. It is very much a product of its time. Written by the party big-wigs, such as Goering, Speer and Goebbels, and published in 1935 under the title Adolf Hitler Bilder Aus Dem Leben Des Furhers, it appeared at a time when they were at the height of their unrivaled powers. This fascinating volume encompasses the superb photography of Heinrich Hoffman, the Munich photographer who was ever present on Hitler's journeys and who grew fabulously wealthy as a result of his intimate access to Hitler. Hitler had an innate understanding of what we would now call public relations. He recognised the excellence of Hoffman's photography and maintained control of his image by limiting the access of other photographers. He also strictly controlled Hoffmann's activities and personally selected the portraits that were allowed to go into circulation. The book incorporates sections on Hitler and the German people, Hitler and the German workers, Hitler and public works and so on, all accompanied by a series of excellent photographs which form a remarkable record of the public face of a man during his brief spell of absolute power. The Nazis were the first party who harnessed the full power of the media in a coherent and all-embracing manner. This is a classic example of the strength of their presentation skills. It is a compelling time-capsule which conveys vividly in almost visceral way the zeitgeist of the thirties in Nazi-Germany. By 1935 the bulk of the German people had fallen in behind Adolf Hitler, and with documents as persuasive as this, it is not too difficult to comprehend the allure of the glittering façade which a stream of publications such as this book sought to create and maintain.